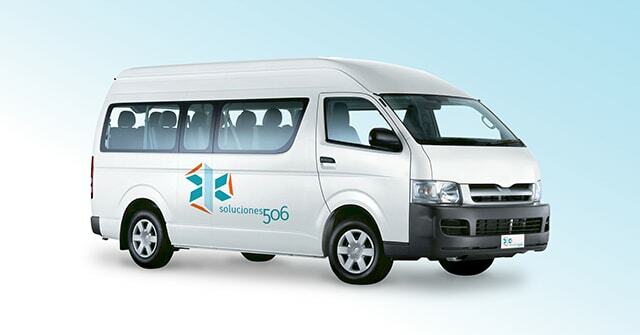 Soluciones 506 provides a personalized transport service for employees, supporting enterprises in the transfer of its collaborators, from and to their places of work, generating a high added value, reducing costs and simplifying processes. In this way companies can focus on the core of their business. • Work day 24/7, 365 days a year. • Coordinator on site during the entire operation, equipped with all the necessary technology to ensure the service. 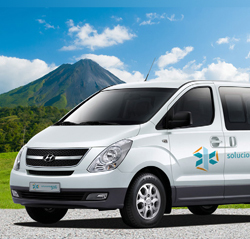 • Transport with the insurance law and Premium Protection with Emergencias Médicas (Medical Emergencies). • Vehicles and drivers 100% identified (badges, uniforms, etc.). • Backup vehicles to attend incidents (no additional cost). • Scoreboard clock in the operation room for control of arrivals and late. • Logistics routes of entry and exit in various types: stops, door-to-door, and others. • Communication: All employees have cell phone and radios to ensure fluidity in the communication. • Extended policy type Umbrella INS: In addition to each vehicle liability policies, we have a Fleet Policy Type Umbrella that extends liability coverage up to ONE MILLION DOLLARS extra. • Satellite positioning: vehicles are equipped with GPS devices for control of route and traceability. • Badge Registration System: We have APP developed to measure the control of route through record each event with the badge of the users. This translates into reliable information in real time. 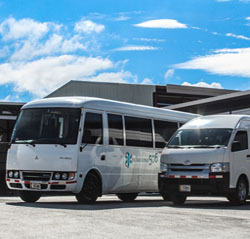 • Controls: We operate a system of daily and weekly report of transport services. • Additional costs: We get responsible for all additional costs associated with any setback of users of the service.